Bugis Street and H.O.T.U. Production House are proud to present SCARY SCARY NIGHT this Halloween. Sending chills down your spine as you experience Bugis Street’s alleys when the shops are closed, after the shutters come down and the lights go out. 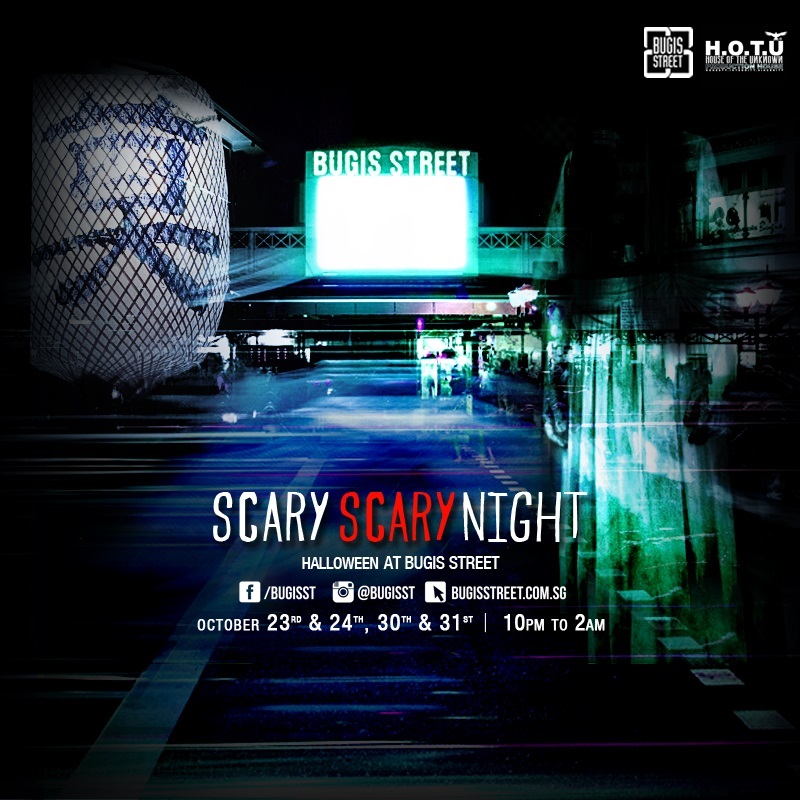 This is a scare event like no other, promising you a night you will NEVER forget. Are you scared yet? You should be. Come get scared outta your pants and treat yourself to some retail therapy! Y’know what they say – shopping is better than a psychiatrist. Late Night Flea Market happening on ALL 4 nights – 23rd, 24th, 30th & 31st from 10PM to 2AM. Be sure to be there early. The first 100 participants will each receive an exclusive goodie bag for FREE! Be prepared to brave through more than ten terrifying scare zones specially crafted to send chills down your spine. Pack your night with bloodcurdling screams as the Asian ghosts roam freely. Get ready to scream! Come experience your favourite shopping complex by day transform into a haunted labyrinth by night! Grab your tickets NOW before it’s too late. See you DARE! For further information, visit Bugis Street website.